ISO Certification Delhi ISO Certification Services ISO Conaultants Kolkata West Bengal ISO Certificaion Delhi NCR Kolkata West Bengal ISO 9001:2000 Certification Consultancy Services iso 9001:2008 india iso 9001:2008 delhi iso 9001 certification ISO Managment delhi india Iso certification India India Certification consultancy Certification India Standards iso Certification ISO Certification Delhi ISO 9001 2000 ISO 9001 ISO 9001 Certification ISO Certificateion ISO Certification for ISO 9001 HACCP 22001 SA 8000 ISO 14001 OHSAS 18001 ISO 27001 Certification Certification India Delhi . ISO Certificate Certification in Delhi India. Certification for ISO 9001:2008 ISO 14001:2004, HACCP, OHSAS Certification and Consultancy for ISO 9000 Quality Management System, ISO 14000 Environment Management System, Quality Management, ISO Certificate India Delhi, ISO 9001 2000 certificate mumbai India, ISO in India, ISO 9001 Certification Consultancy in India Chandigarh Mumbai Haryana. ISO 9001 is one of a series of quality management system standards. It can help bring out the best in your organization by enabling you to understand your processes for delivering your products/services to your customers. ISO 9000 is an internationally-recognised standard for business management, which ensures that businesses are operating to the same standards of meeting customers requirements. 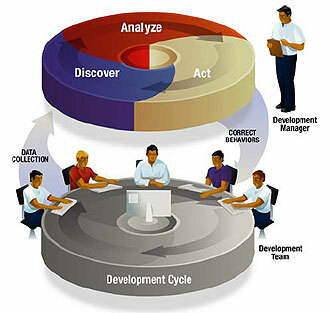 Better Management of core business processes. Increased awareness of quality among staff. Create a more efficient, effective operation. Improve Employee motivation, awareness and morale. Improved productivity and quality . Reduced wastage and cost per unit/service and increase productivity. The ISO 9001:2000 series of standards are based on eight dynamic Quality Management System Principles. "A world leading consulting organization can provide you professional & reliable services. ISO Certification Company is a world leading consultancy organization specialized in global product & system certifications such as: US FDA compliance, UL mark; European Union & EFTA product safety requirement- CE Marking, ROHS compliance, China Compulsory Certification- CCC Mark, ISO standards, HACCP, OHSAS, C-TPAT, KAIZEN, GMP, EUREPGAP, Six sigma, SA 8000, BSCI, WRAP etc. We provide our services in India and other parts of Asia We give our services for the following areas: UTTAR PRADESH - Ghaziabad, Kanpur, Allahabad, Lucknow, Agra, Meerut, Varanasi, Bhadoi, Rampur, Noida, NEW DELHI, CHANDIGARH, HARYANA -Panchkula, Faridabad, Gurgaon, Bahadurgarh, Bhiwadi, Panipat, UTTRANCHAL- Mandi, Baddi, GUJARAT - Ahmedabad, Surat, Bhavnagar MAHARASHTRA - Mumbai, Nagpur, Pune JAMMU & KASHMIR - Jammu, PUNJAB - Ludhiana, Faridkot, Amritsar, Chandigarh KARNATAKA - Bangalore, Tumkur, Mysore, TAMIL NADU - Chennai, Tirupur, ANDHRA PRADESH - Hyderabad, MADHYA PRADESH- Bhopal, ORISSA - Raurkela, Bhuwneshwar, Katak WESTBANGOL- Kolkata, Durgapur BIHAR- Patna, Gaya, JHARKHAND- Ranchi. Jamshedpur. A world-leading consultancy offers you excellent services at very reasonable prices!"